Hello again. Only the NAND (oneNAND = KFG1GN6W2D) would be damaged?. The eMMC (eMMC = SDIN502-2G) is fine? Has anybody an advice for me? PS: Does anybody has the 1016 firmware for the MSTAR model? Is there a chance to upload it into the board? I've tried multiple times and get the same message each time. Can anyone suggest what I'm doing wrong please? That's exactly the same I did but my TV got frozen (and bricked) in the third attempt of downloading. Hello again. It seems I find someone in my country which do technical TV repair service with a working mainboard for a D6100 (his screen is broken but his mainboard is fine). So maybe we can finally do the job. Does anyone know which programmer could be useful with the KFG1GN6W2D chip and where could we fin its datasheet please? I've been looking for it but I wasn't successful. Thanks in advance. The latest firmware is not yet available. I'm going to guess UN46d6300 with firmware T-GASFAKUC is not currently supported? 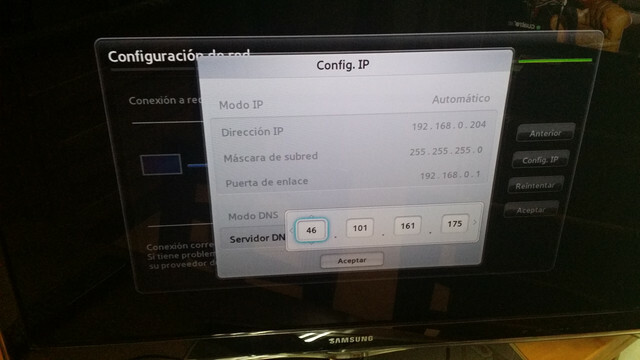 tried to use 46.101.161.175 as dns on my tv can't connect to internet ? but when i use 8.8.8.8 it connect ! I have the same problem than you hica. Can anyone help us please? Thanks in advance. 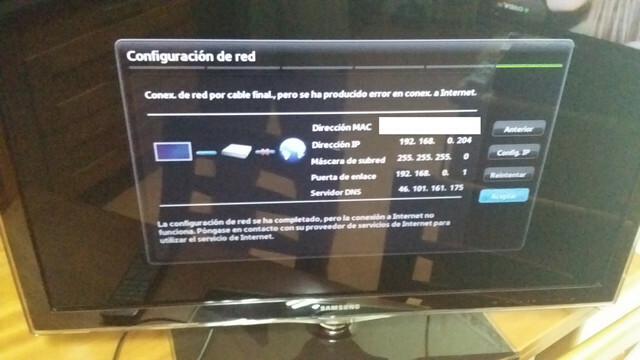 P.S: Could I use the rooting widget procedure/method with T-GAS6DEUC-1028.0 firmware on this D-series television? Hello. 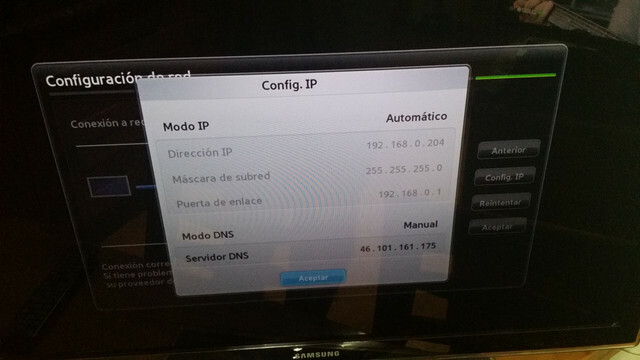 I've tried the Hospitality mode hack (https://wiki.samygo.tv/index.php?title= ... arm_models) on my UE32D6100 with 1028 firmware and it worked flaweslly. Now I am able to access to the television IP address through FTP on port 21 and I've got an USB source (labeled "SamyGo Virt. USB") permanently. Now what I would want/need is to mount some shared folders I have on my local network (computers, hard disk connected to a router, STBs...)for watching them on the television directly. I've been looking for this information on the wiki and forum but I don't know how to do it ("SamyGO.sh" or "start.sh" editing maybe?). I've read that NFS is faster and has a better performance than CIFS or SMB. Thanks in advance for your help and information.